My all time favorite holiday cookie is here!! 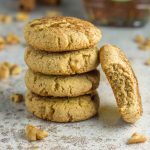 Paleo maple walnut cookies were adapted from my grandma’s classic recipe that our whole family loves. 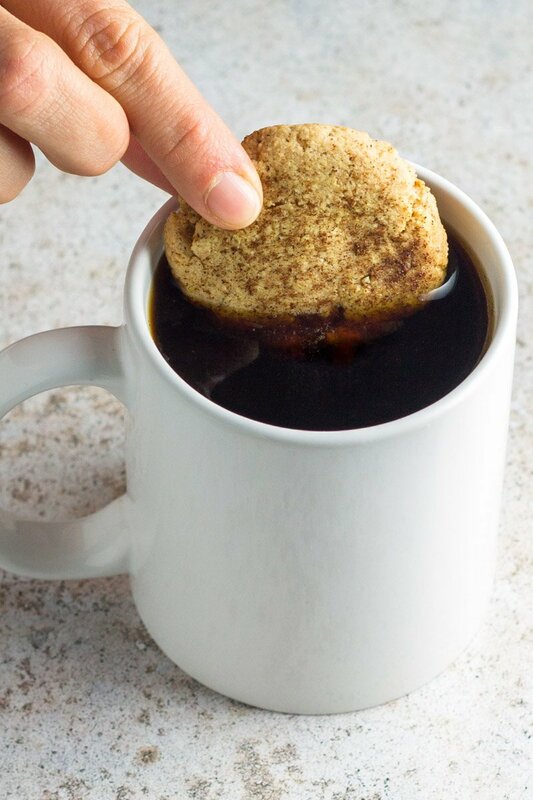 These holiday treats are soft, chewy, and amazing dipped in coffee. Eggless, grain free, and dairy free, but taste anything but healthy. A ‘must try’ cookie this season! My grandma is hands down the best baker on planet earth, and that woman doesn’t hold back – bring on the butter, sugar, Crisco, and flour! One thing is for sure, there is NO shortage of sweets during the holiday season with my family. Granny is the best at making carrot cake (with cream cheese frosting a mile high), pies, kuchnen (a German dessert), and my favorite, maple walnut cookies. In fact, I request them every year. Don’t get me wrong, I adore chocolate chip cookies, perfectly glazed sugar cookies, and any other cookie-type thing I can put in my mouth, but THESE trump them all. So last year I rummaged through her handwritten recipes and stole her claim to fame. Here’s the thing is about grandmas – they don’t care if you steal their recipes and claim them as your own. They also don’t care if you come home from collage and take most of the food in their pantry. They don’t care if your kids run through their homes like little tornados. And they especially don’t care if you feel like you failed – they will still totally love on you. Grandma’s are God’s gift to the world. Pretty sure God sent an angel to whisper in my grandma’s ear, “make these cookies – here are the ingredients. 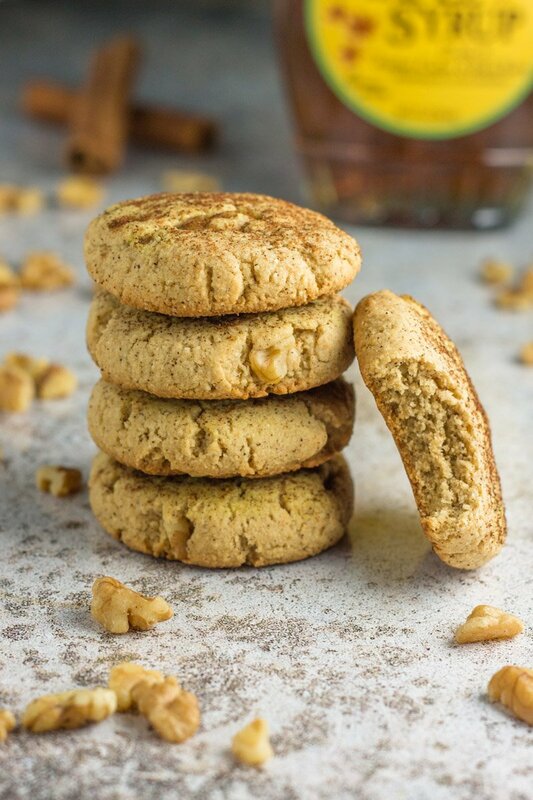 It will make your granddaughter famous someday.” Ok that’s probably not how it went down, but regardless, these paleo maple walnut cookies are heavenly. Of course, I’m altering the recipe just a tad to make them paleo. Granny’s recipe yields a cruncher cookie, and mine is more soft and chewy. But both are A-MAZING dipped in coffee right away in the morning. Trust me on this. Made with almond flour, coconut flour, cashew butter, walnuts, and pure maple syrup, it’s totally acceptable to enjoy these for breakfast. It’s pretty much just granola in cookie form, right?! Cross my heart these paleo maple walnut cookies are my favorite Christmas cookie OF ALL TIME. Plus grainless, eggless, dairy free! If you’re looking to try something new, perhaps with a burst of sweet, rich maple and crunchy walnuts, infused with cinnamon and ground cloves, this is your gig. Promise me you’ll try them. Just do it. The cookies are about 3 inches in diameter (small little guys), but you certainly make the larger and double the recipe. Because sometimes more is more. 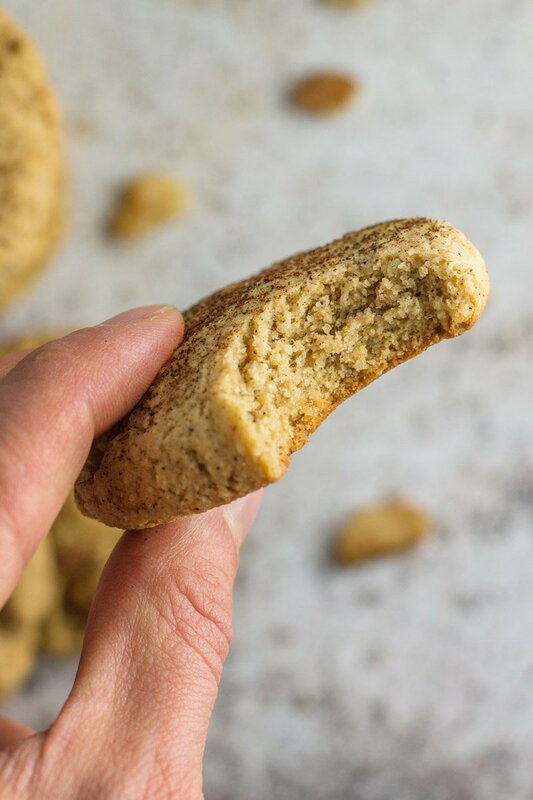 And be sure to make these soft and chewy paleo gingerbread cookies while you’re at it. You won’t believe the combo of surprise ingredients! I’m a lucky girl to have the grandma that I do! I’m making these this weekend! Do I have to use cashew butter or can I use almond or peanut? I also have coconut butter. I just don’t want to buy another butter if I don’t have to! Thanks! I love following you on Instagram! Or regular dairy butter…? I’m not dairy free, so would that work? Definitely not real butter – you could sub for almond butter. Peanut butter might give it more of a peanut butter cookie taste. Could you use just coconut flour or some alternative instead of almond? My husband is allergic to nuts. I would probably find a gluten free flour blend instead of straight up coconut flour. Kids and I made them today and they are SOOOOOOOO amazing! They actually taste like they have sugar in them! Their moist and the flavors are out of this world! I’ll be making these again and again, especially since I always have these ingredients on hand! Thanks Chrissa! I’m so glad they were a hit at your house too! Chrissa! God Bless you and your grandma!! 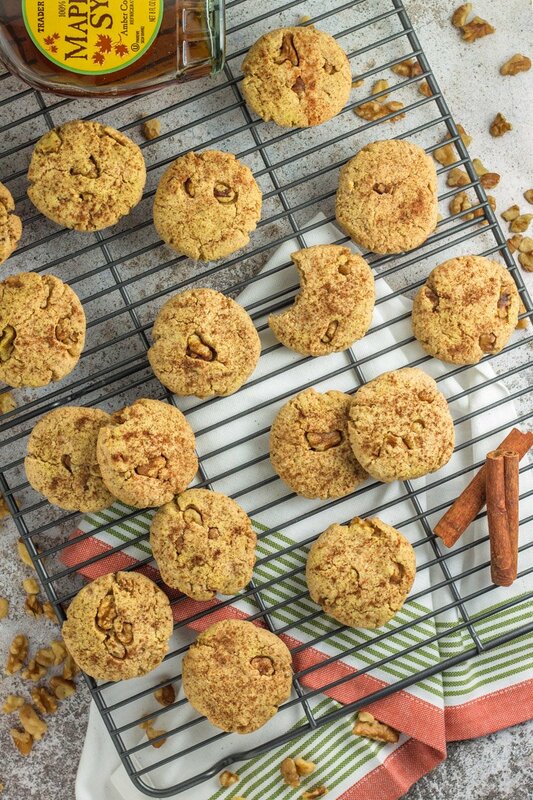 Just made a batch of these and O-M-G…hands down favorite cookie of all time!!!! Thank you, Thank you, Thank you! I’m SO glad you loved them! Grannies know best!